On the first day of class many professors introduce themselves with a quick five minute “about me” speech and then there is a syllabus in front of your desk.This semester we want to recognize and welcome a new full time faculty member at Housatonic. Hundreds of students are going to have the opportunity to engage in his style of learning and get to learn even more about him. “Apply yourself, enjoy the experience, and every course that you take will soon pay off in in the long run,” Military veteran and Business professor Bernard Pasierb explains. Originally from Chicago, Illinois, Pasierb started his college education at West Point Military Academy located in West Point, New York. Going to school six days a week later and graduating with a Bachelors of Science, he headed straight into the United States Army. He began working as an electrical engineer in the Army, and later received his M.B.A, better known as The Master of Business Administration. In 2007, Pasierb began working as an long-time adjunct professor teaching global business at Housatonic and then later becoming a full time professor in 2015. 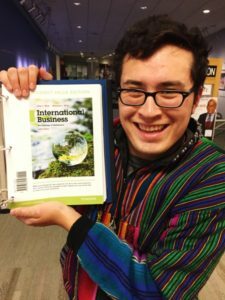 Introduction to Business, Principles of Finance, Organization of Behavior, and Global Business are all of the classes that Pasierb instructs here at Housatonic. Pasierb’s previous occupation was a CEO of a financial company, “Clout Financial Services” in 2000. The business provided financial advice and programs to students out of college and professionals who were interested in financial business. 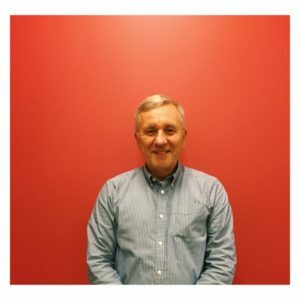 He began consulting in New York City, and commuting to Connecticut as an adjunct professor at night. He encourages college students to follow the education journey, be open minded and most importantly, adaptable. When teaching he equips students with the knowledge of global business theories, marketing strategies, and business management. He enjoys the diversity of students in his class and also the experiences and stories from each of his students. “I have students from all around the world come to my class to share their experiences,” he explains. Professor says, as the author visits his Tuesday night global business class. “The key point is, he appreciates the relationship with his students. He is very approachable, concerned and empathetic,” Ed Becker, the Chair of the Business Department, says. Pasierb loves the dedication of his students.“Many have families and jobs and they still manage to do well,” he says. “He really tries to motivate you to participate in class lectures. That’s what I look for in a class,” says Jorge Paiz, currently a global business student in Pasierb’s class this semester. He describes Pasierb as friendly, enthusiastic, and highly fair. “I’ll never look at Walmart the same after learning how the business operates.We’re getting cheap items at a low price but at the cost of many employers losing jobs, you realize the world isn’t as simple as we make it out to be. There is a pro and con to everything,” Paiz explains. He later mentions that by taking a Global Business class you learn how to value certain things such as currency and daily living. Also, he insists that the class offers awareness and the thought of taking action with the problems that people face in the world today. Pasierb can’t stop smiling while he continues to talk about the education he provides to students and his style of teaching. Pasierb also refers students who are interested in starting a business or becoming an entrepreneur, to visit SCORE in Bridgeport. SCORE offers business workshops in the Greater Bridgeport area for upcoming business owners or entrepreneurs. Pasierb looks forward to continuing helping students with his knowledge and business experience. Housatonic welcomes Professor Bernard Pasierb with open arms.